"Les Misérables" will be at the Academy of Music this January. 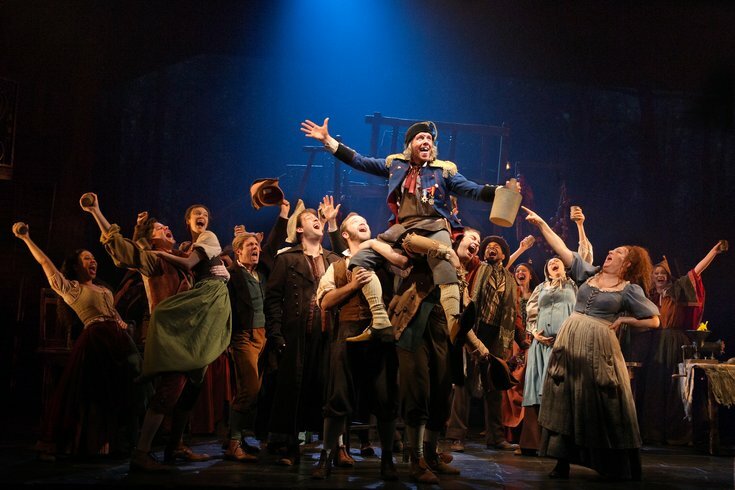 Cameron Mackintosh’s acclaimed production of Alain Boublil and Claude-Michel Schönberg’s Tony Award-winning musical "Les Misérables" will return to Philly for a two-week run in January. It was last here in 2013. The production will be at the Academy of Music from Tuesday, Jan. 9 to Sunday, Jan. 21. For those unfamiliar with the musical, "Les Misérables" is set in 19th-century France and follows the lives and interactions of several characters, particularly the struggles of Jean Valjean. "An enthralling story of broken dreams and unrequited love, passion, sacrifice and redemption – a timeless testament to the survival of the human spirit," reads a statement from the Kimmel Center. The score includes the beloved songs "I Dreamed a Dream," "On My Own," "Stars," "Bring Him Home" and "One Day More."